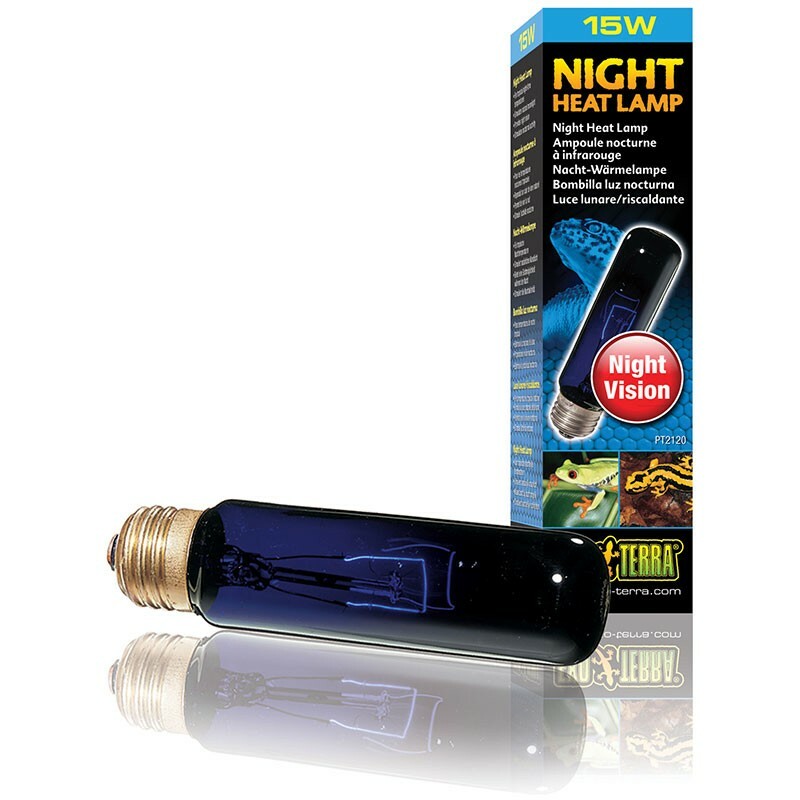 The bulb simulates natural moonlight to allow nocturnal viewing without disturbing the animal’s day and night cycle. The light emitted is bluish due to the use of blue glass. The heat generated by the bulb is minimal but enough to provide tropical night time temperatures.